In this very good recent interview with the always extremely insightful David Laidler on Russ Robert’s Econtalk David rightly highlights the problem that money disappeared from macroeconomics during the 1990s with the development of DSGE models. I share David’s worry that many macroeconomists – particular central bank economists – use models where there is no money. However, over the last couple of years some economists have tried to bring money into DSGE models. This research deserves a lot more attention. 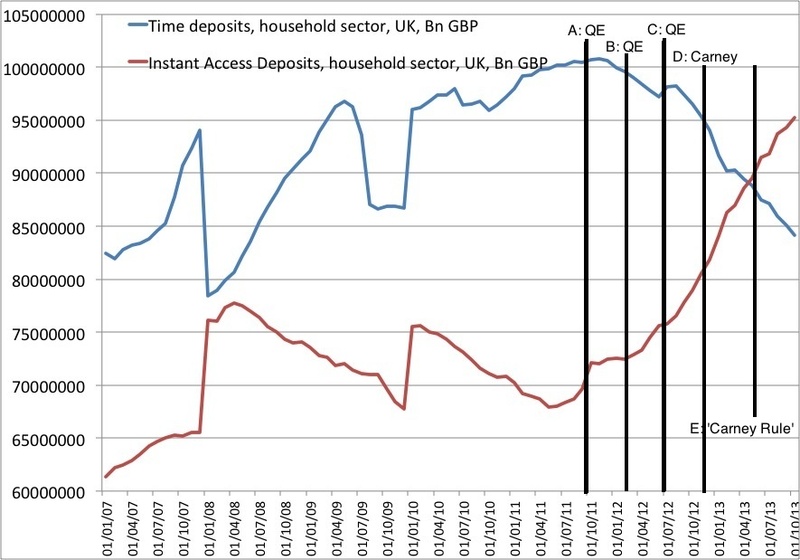 Monetary Transmission in the New Keynesian Framework: Is the Interest Rate Enough? The baseline New Keynesian model consists of a dynamic IS equation, a Phillips curve, and an interest rate rule that describes monetary policy. In recent years, this framework has become standard for monetary policy and monetary business cycle analysis. One charac- teristic of this model, and extensions thereof, is that the path of the short term interest rate fully captures the monetary transmission mechanism. This proposition is contrary to both theory and evidence presented by monetarists and advocates of the credit channel. As a result of these differences, this paper presents a model that includes agency costs, a richer specification of money demand, and nests the baseline New Keynesian model as a special case to evaluate the dynamics implied by each assumption. The results show that the New Keynesian model does a poor job of replicating empirical properties observed in the data. On the other hand, the model employed in this paper that includes elements from both the credit channel and monetarist literature is able to perform quite well. These results suggest that the representation of the monetary transmission process in the New Keynesian model is incomplete. A small, structural model of the monetary business cycle implies that real money balances enter into a correctly-specified, forward-looking IS curve if and only if they enter into a correctly-specified, forward-looking Phillips curve. The model also implies that empirical measures of real balances must be adjusted for shifts in money demand to accurately isolate and quantify the dynamic effects of money on output and inflation. Maximum likelihood estimates of the model’s parameters take both these considerations into account, but still suggest that money plays a minimal role in the monetary business cycle. In this paper, we test two models of the Eurozone, with a special emphasis on the role of money and monetary policy during crises. The role of separability between money and consumption is investigated further and we analyse the Euro area economy during three different crises: 1992, 2001 and 2007. 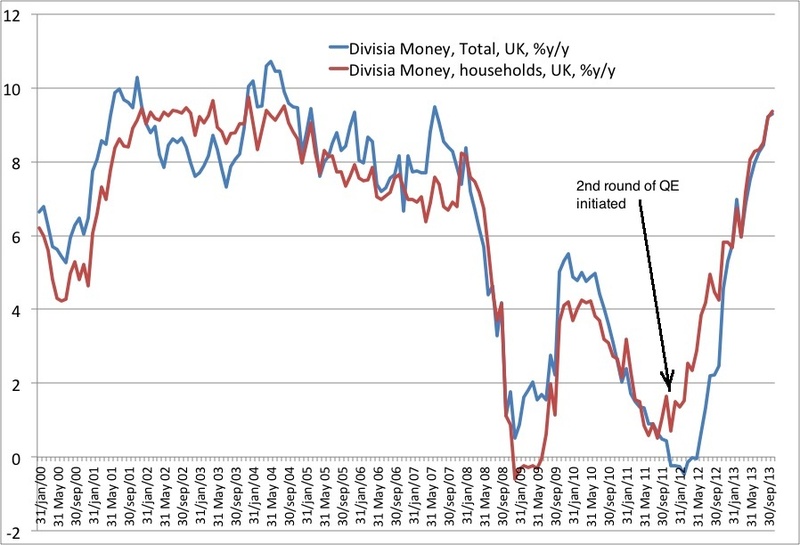 We find that money has a rather significant role to play in explaining output variations during crises whereas, at the same time, the role of monetary policy on output decreases significantly. Moreover, we find that a model with non-separability between consumption and money has better forecasting performance than a baseline separable model over crisis periods. We propose a New Keynesian Dynamic Stochastic General Equilibrium (DSGE) model where a risk aversion shock enters a separable utility function. We analyze five periods, each one lasting twenty years, to follow over time the dynamics of several parameters (such as the risk aversion parameter), the Taylor rule coefficients and the role of this risk aversion shock on output and real money balances in the Eurozone. Our analysis suggests that risk aversion was a more important component of output and real money balance dynamics between 2006 and 2011 than it had been between 1971 and 2006, at least in the short run. This is a of course a very incomplete list of papers, but overall there are still very few papers on money in DSGE models. I hope I with this post can inspire others to look into this interesting topic and hopefully one day even central bankers will come to the conclusion that we need to bring money back into the game. If you are interested in DSGE models in general there is a sub-group in the Global Monetary Policy Network at Linkedin on the topic. Join GMPN here and the DSGE sub-group here. Senior editor at National Review and Bloomberg View columnist Ramesh Ponnuru is well-known for his Market Monetarist views Now he is out with a new comment NGDP targeting. “The chief advantage of targeting NGDP, rather than inflation, is that it distinguishes between shocks to supply and shocks to demand. With either approach, the central bank should respond to a sudden drop in the velocity of money by expanding the money supply. If people are holding on to money balances at a higher rate than usual — because of a financial panic, just to pick a random example — both inflation and NGDP would fall below target and the Fed would have to loosen money in response. But the two approaches counsel opposite responses to a negative supply shock, such as a disruption in oil markets. That shock would tend to increase prices and reduce real economic growth, thus changing the composition of NGDP growth but not its amount. With an NGDP target, the Fed would accordingly leave its policy unchanged. With a strict inflation target, on the other hand, the Fed would tighten money — and thus the real economy would take a bigger hit from the supply shock. A positive supply shock, such as an improvement in productivity, would also elicit different responses. Under an NGDP target, the rate of inflation would decrease and real growth would increase. A strict inflation target would force the Fed to loosen money and thus risk creating bubbles. In other words, inflation targeting makes the boom-and-bust cycle worse following supply shocks, while NGDP targeting doesn’t. The paper Ponnuru is mentioning is Josh’s excellent 2010-paper “An Overhaul of Federal Reserve Doctrine: Nominal Income and the Great Moderation” – read it before your neighbour!